Get More Insight on Availing Student Visa in Australia | Go For Visa | Australia Immigration Consultant & Visa Experts in India. Australia has been a most desirable destination for the students from all parts of the world to do their higher studies. It is definitely for a reason as the country has more number of globally recognized educations institutions and universities across the entire region. They also offer good environment and culture for the students to live and study. The government of Australia is also pretty much focused on providing high quality infrastructure development for the institutions in the country. 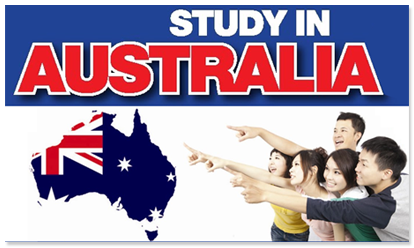 If you are a foreigner who wants to study in Australia then you should have a Study Visa in order to accomplish that. The Student Visa is an authority that is provided by the immigration officials in the country which lets you to stay in the country for a particular period of time according to your course duration. There are lots of factors and eligibility criteria that plays role in getting a Student Visa to study in Australia. If you are an aspiring student then you should consult the immigration visa experts and consultancy services in order to get clear knowledge about all these procedures and set of rules to achieve your dream. It is also important for the students to prove that they are capable of studying the course in terms of personal as well as financial point of view. You can also avail educational loans from the banks in order to get steady financial eligibility criteria to satisfy the demands from the immigration authorities in the country. The native language of Australia is English and you have to be well proficient in English to get into the country. The English is a big advantage that can help you in clearing the immigration tests easily. Therefore, it is suggested for you to learn English in such a way that you can read, write and speak in English very proficiently and in advanced level. You can also undergo some training in order to pass IELTS exam to get into Australia. The immigration consultants can be a big help for the student in terms of handling other immigration procedures as you can concentrate on preparing for the English tests as well as immigration interview with the authorities. Thanks for the post. You should take part in a contest for one of the best blogs on the web.student visa australia I will recommend this site! Nice blog !! author has shared about Australia's education system. Study visa consultant of Australia and students can know about education system by this blog. Why choose Australia. this confusion will be removed by reading this blog. thanks to author for sharing this information. Hey, you have posting a wonderful blog. Thanks and keep posting.